In this learning pathway we introduce additional dimensions of openness in education. You will choose a dimension for further investigation and publish a learning reflection outlining the implications of your findings for learning in a digital age. Free and open source software also known as free/libre open source software FLOSS, is software developed by collaborative networks of programmers. The source code is released freely under open licenses facilitating modifications and improvements to the code. An open textbook is a textbook published under an open copyright license, and is distributed online to be freely used by students, teachers and members of the public. Many open textbooks are distributed in either print, e-book, or audio formats that may be downloaded for free or purchased at more affordable costs when compared to proprietary alternatives. Open policy promotes the adoption of government and institutional policies which promote unrestricted access and open licensing of resources financed through public and philanthropic funding in order to maximize the impact of the investment. 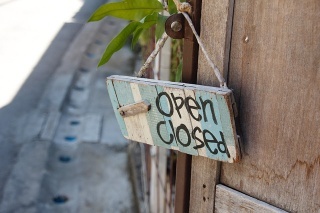 What is an open business model? An open business model provides a plan for the successful and sustainable operation of a business, social enterprise or philanthropic initiative based on openly licensed products or services. The business model identifies the value proposition, sources of revenue, the target markets and details of financing of open operations. What are open educational practices? Open educational practices (OEP) refer to the distinctive practices and processes which support the use and reuse of open educational resources (OER) at educational institutions. Note: In this learning pathway you are not required to study each dimension of openness in detail. Scan the sub-pages of this learning pathway to select one dimension for further investigation. Justify your choice of a dimension of openness for further investigation. Publish a learning reflection documenting your experience and insights gained from your desk-top study of a dimension of openness. Identify the implications of a dimension of openness for learning in a digital age. ↑ Suber, P. 2004. Open Access Overview (definition, introduction). Earlham.edu.